On the 80th anniversary of Orson Welles' famous radio broadcast of the War of the Worlds, here are Project Censored's Top 10 underreported stories of the year. Fake news is not a new thing. 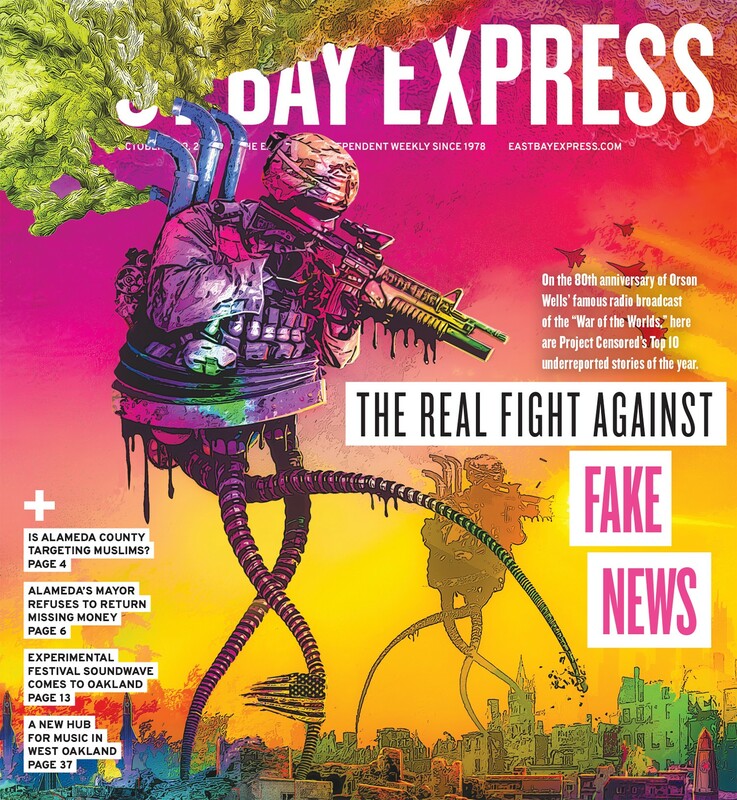 With the return of its annual list of censored stories in Censored 2019: Fighting the Fake News Invasion, Project Censored's vivid cover art recalls H.G. Wells' War of the Worlds. The current news landscape may feel as desolate as the cover art suggests. "But Censored 2019 is a book about fighting fake news," editors Andy Lee Roth and Mickey Huff observed in the book's introduction. In the end, the authors argued that "critical media education — rather than censorship, blacklists, privatized fact-checkers, or legislative bans — is the best weapon for fighting the ongoing fake news invasion." Project Censored has long been engaged in much more than just uncovering and publicizing stories that don't get enough attention in the mainstream media. Through it all, the list of underreported stories remains central to Project Censored's mission, which, the editors point out, can be read in two different ways, "as a critique of the shortcomings of U.S. corporate news media for their failure to adequately cover these stories, or as a celebration of independent news media, without which we would remain either uninformed or misinformed about these crucial stories and issues." The cover art theme works at two levels, as the editors explain. First, the famous Orson Welles' radio broadcast of the War of the Worlds 80 years ago this month — on Oct. 30, 1938 — used a number of dramatic devices to present the drama as though it were an actual crisis in progress. It became an example of the potential power of fake news in the radio media era. But that narrative about widespread panic is actually a more long-term form of fake news, as Jefferson Pooley and Michael J. Socolow have documented in a series of articles over the past decade. Both the audience size and degree of panic have been significantly inflated over time, they explained. According to the World Justice Project Rule of Law Index 2017–2018, released in January 2018, a striking worldwide decline in basic human rights has driven an overall decline in the rule of law since, October 2016, the month before Trump's election. Fundamental rights — one of eight categories measured — declined in 71 out of 113 nations surveyed. Overall, 34 percent of countries' scores declined, while just 29 percent improved. The United States ranked 19th, down one from 2016, with declines in checks on government powers and deepening discrimination. Fundamental rights include absence of discrimination, right to life and security, due process, freedom of expression and religion, right to privacy, freedom of association, and labor rights. 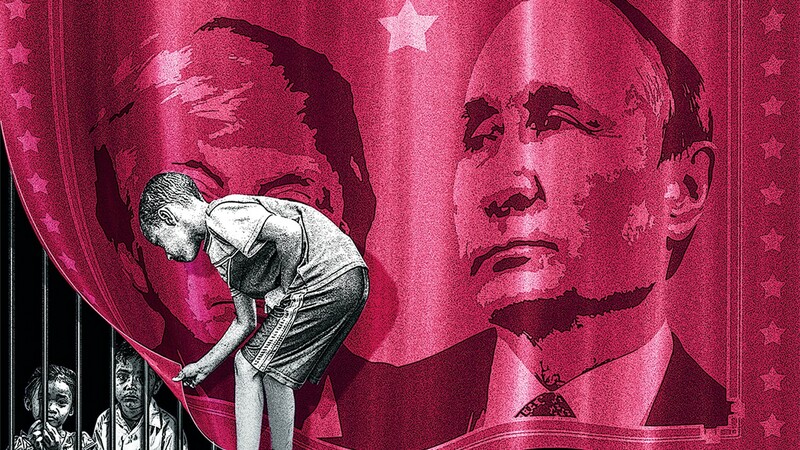 "All signs point to a crisis not just for human rights, but for the human rights movement," Yale professor of history and law Samuel Moyn told The Guardian the day the index was released. "Within many nations, these fundamental rights are falling prey to the backlash against a globalising economy in which the rich are winning. But human rights movements have not historically set out to name or shame inequality." "With scores of 0.50 for equal treatment and absence of discrimination (on a scale of 0 to 1), 0.48 for discrimination in the civil justice system, and 0.37 for discrimination in the criminal justice system, the U.S. finds itself ranked 78 out of 113 countries on all three subfactors," the World Justice Project stated. The four Nordic countries — Denmark, Norway, Finland and Sweden — remained in the top four positions. New Zealand, Canada and Australia were the only top 10 countries outside of Europe. Will Bordell and Jon Robins, "'A Crisis for Human Rights': New Index Reveals Global Fall in BasicJustice," The Guardian, Jan. 31, 2018. In March 2017, WikiLeaks released Vault 7, a trove of 8,761 leaked confidential CIA files about its global hacking programs, which WikiLeaks described as the "largest ever publication of confidential documents on the agency." It drew significant media attention. But almost no one noticed what George Eliason of OpEdNews pointed out. "Sure, the CIA has all these tools available," Eliason noted. "Yes, they are used on the public. The important part is [that] it's not the CIA that's using them. That's the part that needs to frighten you." As Eliason went on to explain, the CIA's mission prevents it from using the tools, especially on Americans. "All the tools are unclassified, open-source, and can be used by anyone," Eliason explained. "It makes them not exactly usable for secret agent work. That's what makes it impossible for them to use Vault 7 tools directly." In a 2016 report for The Nation, Shorrock estimated that 80 percent of an estimated 58,000 private intelligence contractors worked for the five largest companies. He concluded that "not only has intelligence been privatized to an unimaginable degree, but an unprecedented consolidation of corporate power inside U.S. intelligence has left the country dangerously dependent on a handful of companies for its spying and surveillance needs." You’re not getting your First Amendment’s worth.